I was feeling very lazy, despite getting out for a couple of runs already this week. I wanted to go for a longer run, but was having trouble motivating myself. After the Postman brought the new pair of ‘Runderwear’ running pants I bought this week I knew I had to go. (More about the pants another time). Once in my new pants and out the door I talked myself into taking a longer, more ‘interesting’ (i.e. off road and uphill) route by telling myself it would be full of bluebells and very photogenic. 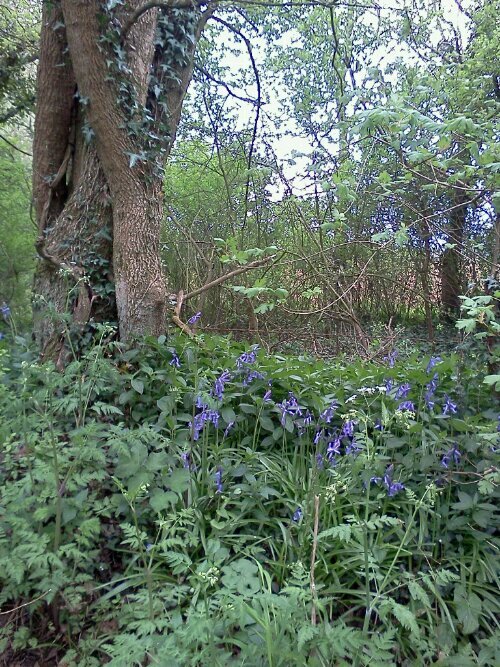 As you can see, not too many bluebells were actually out. I had cheated myself! However I had set off intending to do a 5 mile road run and ended up having run 7.5 miles including some off road, so I didn’t mind really. Does anyone else ‘trick’ themselves to run further, or is it just me? !